Rohit received the award from Maharashtra Chief Minister Devendra Phadnavis’ wife Amruta Fadnavis. 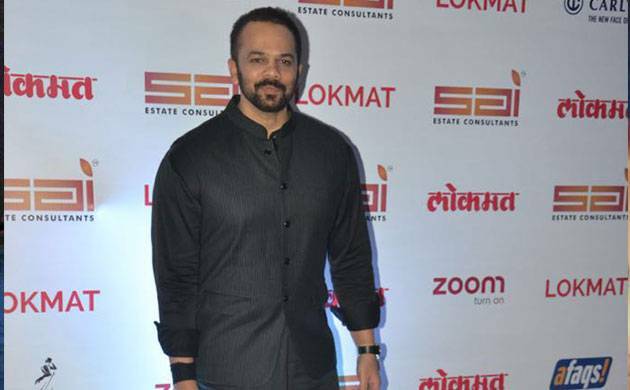 Rohit Shetty is currently in a celebratory mood with the super success of Golmaal Again as the movie is creating magic at the box-office and has set the cash registers jingling with a business of Rs 200 crores. And quite recently, the filmmaker had another reason to rejoice as he was awarded ‘Most Stylish Star Filmmaker’ award at the Lokmat Most Stylish Awards. Known for his style and dapper personality, there were no two doubts that he was the apt choice for this award. Dressed in a black pathani suit, he looked debonair as usual.